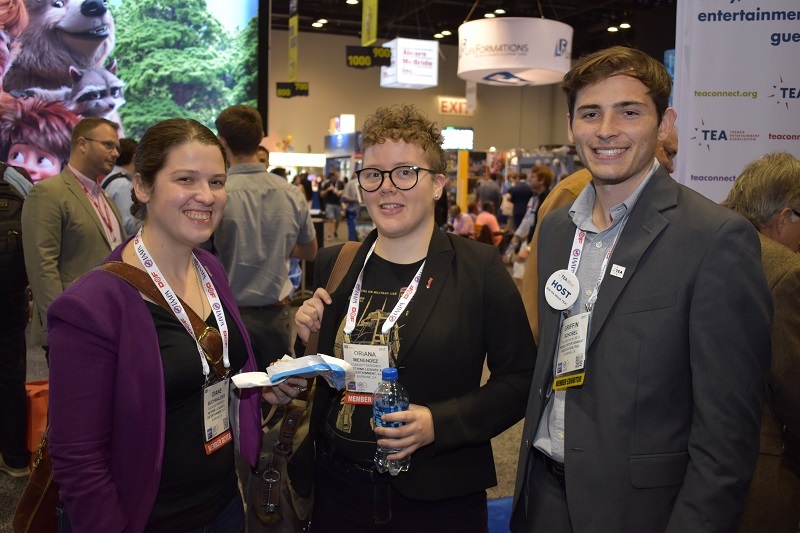 The NextGen Initiative of the Themed Entertainment Association (TEA) brings students and recent graduates into the association to help acquaint them with the international attractions industry and build careers. 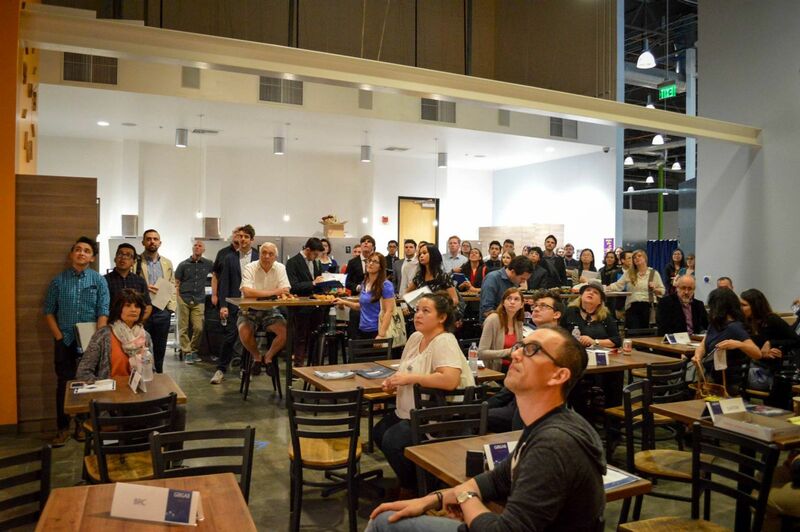 Working with TEA leadership, TEA NextGen members within the TEA EME Division recently took a bold, hands-on approach and formed a team to develop a creative concept for a fictitious theme park. Appropriately, the idea for this mock project exercise emerged during a discussion at TEA SATE, the Association's signature conference on Experience Design. TEA is a professional membership association serving the creators of compelling places and experiences worldwide, and through active involvement in the association, TEA NextGen members can find opportunity and become part of its innovative, professional community and collaborative, creative culture of Experience Design. 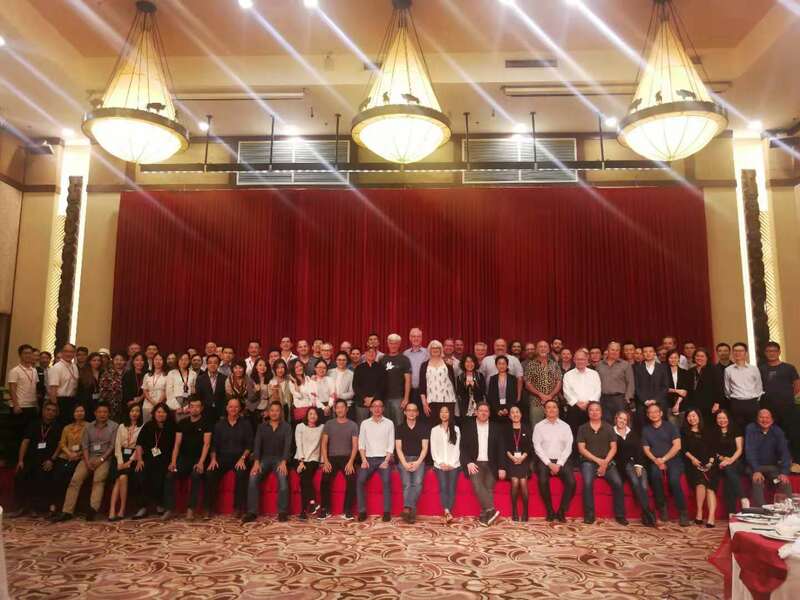 As of November 2018 TEA membership comprised more than 1,700 member companies with several hundred of those being NextGen members, among TEA's four international Divisions: Eastern North America, Western North America, Europe & Middle East (EME) and Asia Pacific. Photo at top shows members of TEA NextGen group conducting the mock project exercise described in this article. From left: George Lawton, Jon Hawkins, Iain Morrow, Leroy Koevoets, Eppo Zeegers, Laura Marakowits, Alex Korting, Fabio Mauro Angeli, Ishen Wu and Georgia Vitkute. Not pictured: Matthias Paillot, Sascha Roeder, Sam Vlas and Wim Strijbosch. TEA builds in opportunities for TEA NextGen member participation and professional growth within its active, global industry presence. That presence includes TEA's own conferences (TEA SATE, TEA Summit), formal honors recognizing excellence (TEA Thea Awards, TEA Masters) publications (TEA/AECOM Theme Index), other industry resources, and media streams - and TEA participation in the IAAPA Expos and other global industry forums. TEA NextGen members can attend and benefit from scholarships, volunteer booth staffing, networking mixers and webinars. At TEA GibGab events, NextGen members meet with potential employers. Within the ever growing network of TEA@University clubs there are many more activities organized directly by students. Like all TEA members in good standing, they can share information about themselves in the online TEA Member Directory and use the TEA Job Board. At the Divisional level, NextGen members interact with TEA leaders in their regions to discover additional opportunities. 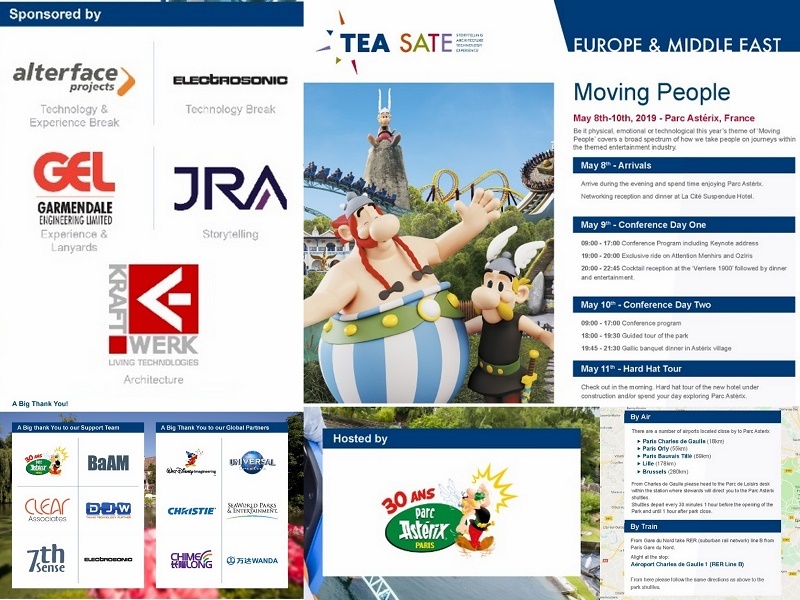 The idea for this mock project design activity grew out of a roundtable discussion that took place in the course of TEA's signature SATE conference on Experience Design - specifically, the 2018 SATE Europe conference, which was held May 2-3 at Europa-Park. During this roundtable discussion to share ideas for activities that would support the overall goals of the TEA NextGen Initiative, it was proposed to launch a mock project that would explore the design and development process on a typical themed entertainment project, from beginning client brief to end of detailed design. There were some initial reservations about the project but it was decided to go ahead, with oversight by TEA EME Board members Laura Marakowits and Alex Korting, who played the role of "client." A NextGen creative team was formed and the mock project went forward. 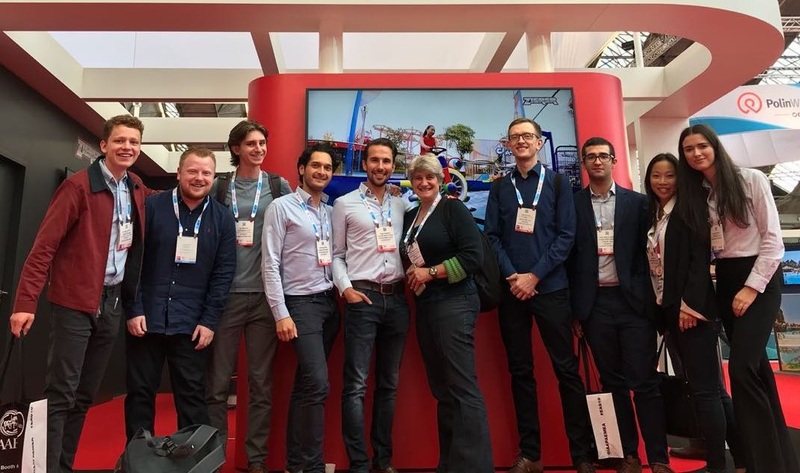 During the 2018 IAAPA Euro Attractions Show (EAS) in Amsterdam the NextGen group pitched their concept to the "client." They presented La Isla Pérdida, a new themed land and ride that would mark the 20th anniversary of the fictitious German theme park WunderWelten Wunsburg. 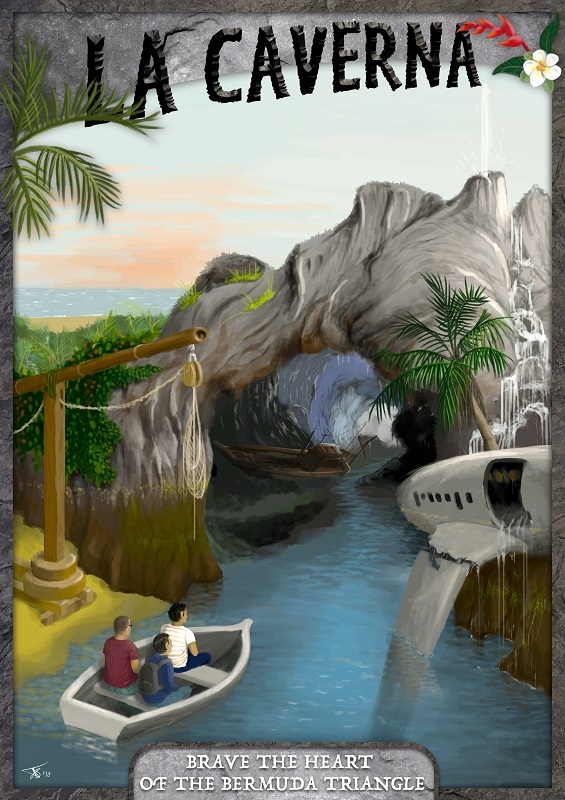 As the story goes, La Isla Pérdida is set on an island hidden right in the middle of the mysterious and treacherous Bermuda Triangle where sailors, pilots and other castaways have washed ashore and over time have created an industrious and fun-loving society from apparent wreckage. The land included new attractions, various shops and restaurants, with progressive phases of development already mapped out. As part of the process at EAS, the NextGen group received feedback from the "client" as well as other TEA members. At this writing, the group is processing that feedback and taking the project toward completion of schematic and detail design. 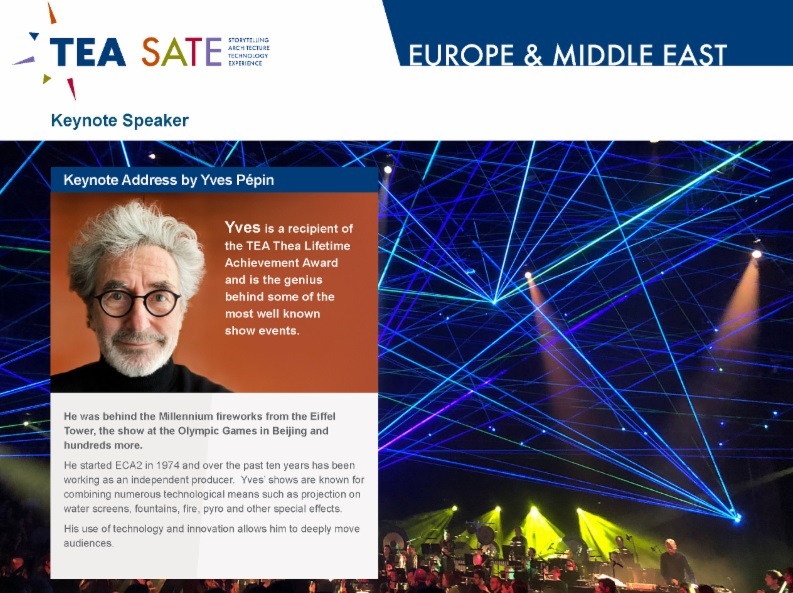 The next formal stage of the mock process will be to present that design package at TEA SATE Europe 2019 conference, taking place in the spring at Parc Astérix. The NextGen mock project team is composed of 12 young people getting their start in the industry, and representing seven different nationalities: Fabio Mauro Angeli (Italy), Jon Hawkins (UK), Leroy Koevoets (Netherlands), George Lawton (UK), Iain Morrow (UK), Matthias Paillot (Belgium), Sascha Roeder (Germany), Wim Strijbosch (Netherlands), Georgia Vitkute (Lithuania), Sam Vlas (Netherlands), Ishen Wu (US) and Eppo Zeegers (Netherlands). The team members are developing skillsets that reflect the wide range that is representative for the industry, covering project management, creative, technical and engineering competencies. TEA NextGen members to network and grow. the TEA booth during the 2017 IAAPA Attractions Expo.